Simple roasted pumpkin flavoured with good olive oil, coarse sea salt, freshly ground black pepper and fresh rosemary is one of the best dishes I can think of. I think pumpkins look beautiful as they are and back in Finland I used to decorate my window sills and dinner tables with the mini pumpkins I was able to get there. Pumpkin is such a versatile ingredient too - just think of all the soups, casseroles, vegetable roasts, cakes or cookies you can make. The list is endless. I was inspired to come up with yet another pumpkin recipe after seeing all the gorgeous pumpkins in a private garden the other week. I was amazed how big they can grow, how they have a different shape depending on whether they've been grown flat in the ground or hanging from a fence and how beautiful they looked being just harvested in their natural environment. I have a theory that ingredients that are in season at the same time go naturally pretty well together. This may of course not apply to absolutely everything, but you're pretty safe combining fresh, seasonal ingredients for a tasty meal. Thus, I was not hesitant to use orange peel and juice to flavour the roasted pumpkin and served with a simple lentil salad this combination makes for the most satisfactory autumn dish. 1. Preheat the oven to 200C and line a baking tray with baking paper. 2. 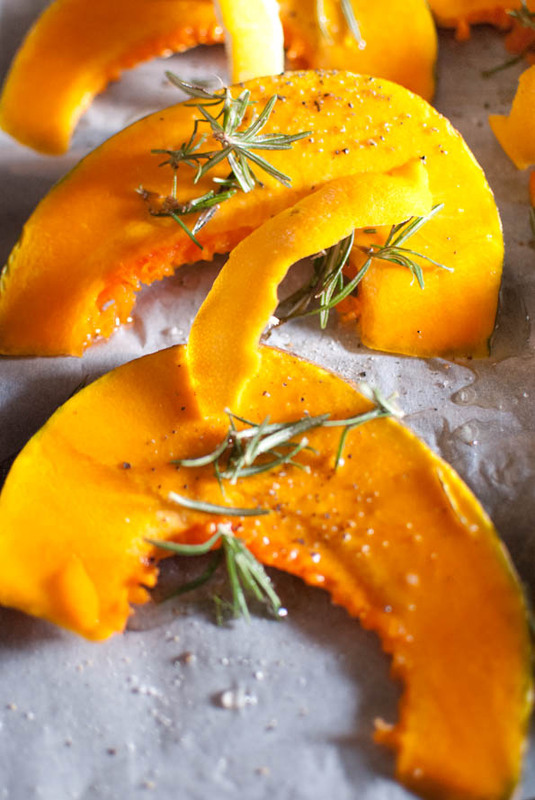 Place the pumpkin wedges on the baking tray, drizzle with olive oil and season with salt and pepper. Sprinkle over the fresh rosemary and arrange the orange peel on the wedges. Bake for about 20-30 minutes or until just tender. Set aside. 3. In the meanwhile, place the lentils in a saucepan and cover with water. Bring to boil and let simmer for about 20 minutes or until tender. 4. Heat one tablespoon of olive oil in a saucepan or a frying pan. Sauté the red onion and celery for a few minutes, season with a pinch of salt and fresh thyme. 5. Combine the red onion and the celery with the lentils and season with orange juice and apple cider vinegar. 6. 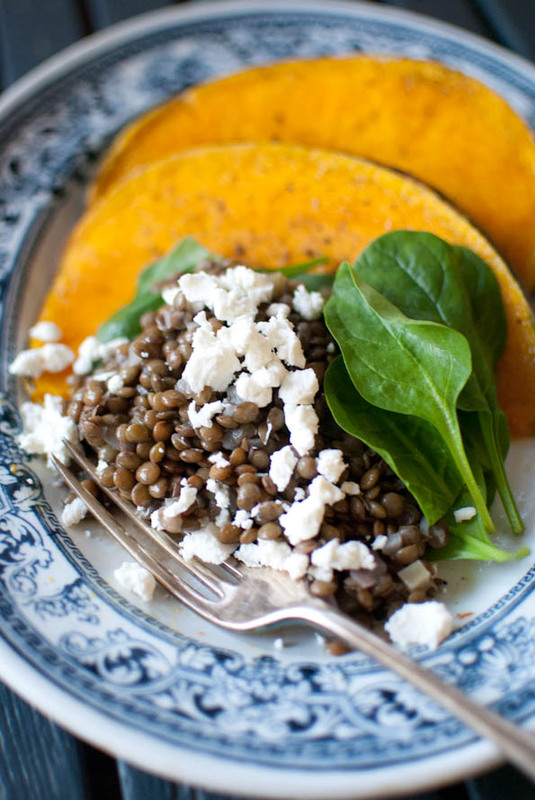 Serve the pumpkin with the lentils, baby spinach and crumbled goat cheese. Drizzle with more orange juice if preferred. This looks so good, Maria! I can only imagine how great the flavours taste together and the dish is so vibrant too! Oh yum - I am making this for lunch today! A wonderful dish! That is a divine combination. Yum, I love pumpkin so much- as a child they used to scare me, likely due to halloween; but my tastes have since refined. this looks delicious, something to look forward to in the fall! This dish looks absolutely delicious. What a colorful and flavorful meal. I am enjoying all of your Fall posts as that is my favorite season! What lovely roasted pumpkin. I love pumpkin in everything. My most favorite was a ravioli stuffed with pumpkin. beautiful! I love pumpkins and this salad is wonderful. I love these seasonal recipes of yours. It is always good to cook in the season. Of course it's a little difficult with it being the beginning of our summer! :D The pumpkin is beautiful, and your photos are stunning. Do you use pumpkin seed oil too? i love the colour of fresh pumpkins....so autumny too! im sure the orange brings out the sweetness even more! My partner and I are cutting out gluten so we're replacing bread and pasta with lentils and beans. This is a perfect recipe for us! I'm making it tonight! Thank you for posting it! 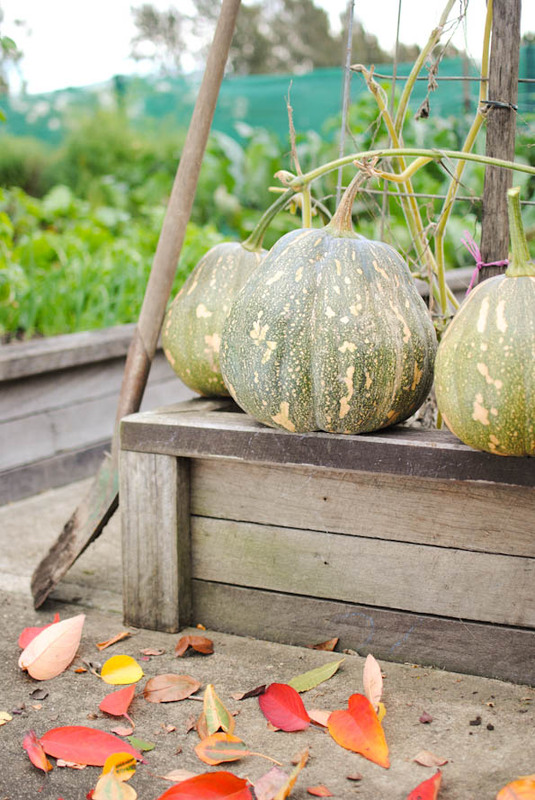 Love the Autumn inspired photos here and the large slices of bright orange pumpikins. What a wonderful dish. I LOVE roasted pumpkin, it's just so flavourful and delicious. I love how you've served it with lentils and goats cheese. Such a simple but decadent meal. i love how all your food is so colourful! Hi Maria! Kabocha!!! 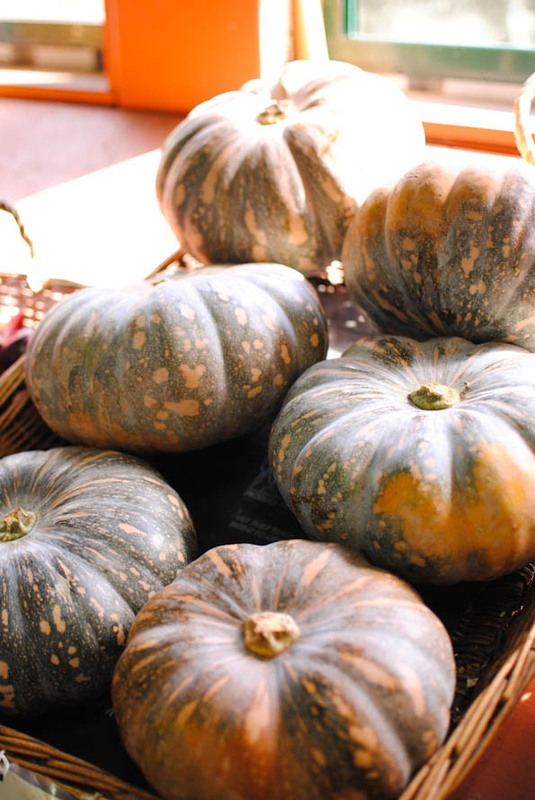 It's so amazing that an "ordinary" kabocha becomes such a wonderful model in your food styling & photography. You have a magic hand. This is so gorgeous. The presentation is beautiful and what a new twist on my beloved pumpkin! This is also one of the preferred ways for me to prepare pumpkin - slice them into wedges and roast them. I have just recently discovered I love pumpkin in other things then pie! I will definitely be giving this one a try, thanks for sharing. Beautiful pumpkin! I bet it's fantastic with lentils! omg..makes me drooooooool...tasty n fullfilling..
Helen, I've only bought fresh yeast at the Fourth Village in Mosman, but I'm sure it's available elsewhere as well. I am with you about the seasonal ingredients..foods created with seasonal ingredients taste so much better! This looks so fresh and mouthwatering. What gorgeous looking pumpkins, just especially love that first pic. Loving pumpkns this season to as keep getting the cutest little ones in me vege box...so will some pumpkin cooking this weekend. Orange and pumpkins sounds wonderful and with a little tang from the goats cheese - yum! You always seem to get the most beautiful pictures of lovely, healthful food. Who wouldn't want to eat this way. I know that you have me craving each and every recipe! We are just planting our garden here and we always plant lots of pumpkins and squash. I can barely wait until harvest time! Yum! The colour looks so great with the lentils and goats cheese. Pumpkin is one of my favourite veggies. So sweet and delicious. 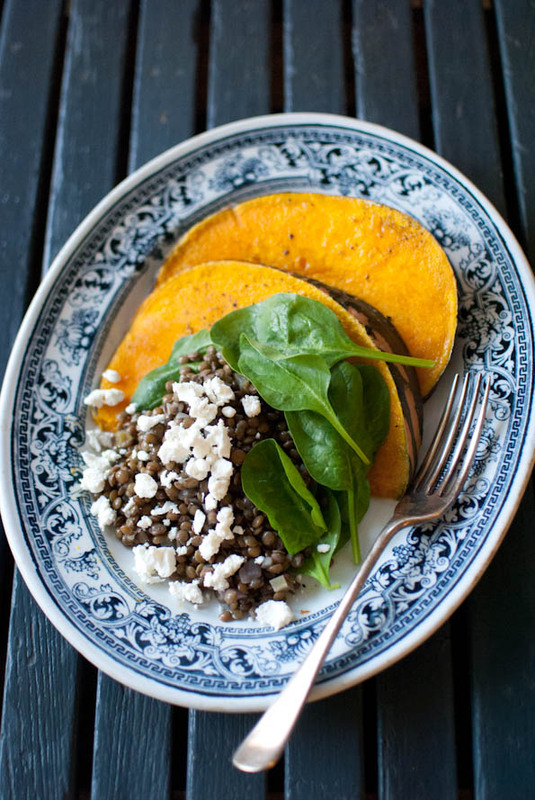 Kabocha is probably my favorite squash and I love how you've paired it with lentils. This sounds delish! Wonderful combination of flavors! My mouth is watering :) Yes, I agree pumpkin is a fabulous versatile ingredient. Oh this looks so delicious! The colors look so great together on the plate. Looks so colorful and flavorful! I love lentils & squash together..but never ate them with pumpkin ..have to try it out! We are in the midst of spring where I live, gardens are just starting to sprout and we are so glad to see a bit of green on the trees. But fall is the season I love...great pictures and the recipe looks delicious. Such wonderful fall flavors, the addition of orange is excellent, and I like the goat cheese here too. 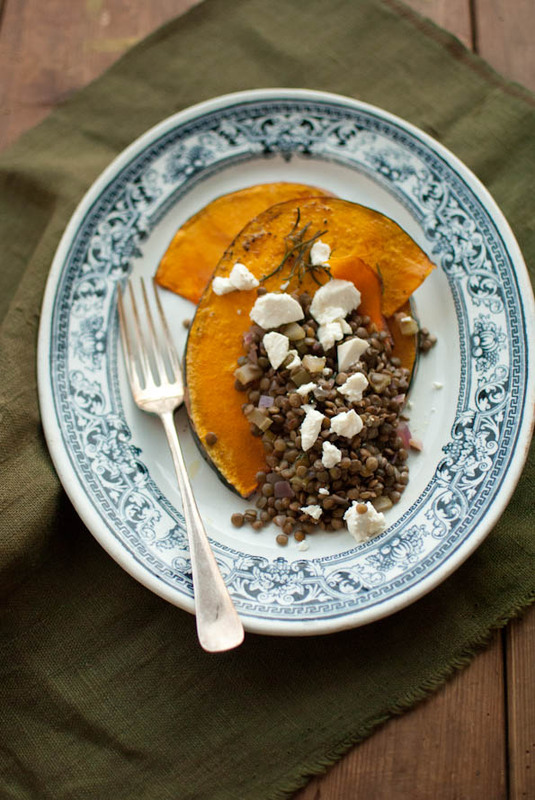 Lentils n pumpkin ~ love the sound of this dish , can't wait to try it ! Love your presentation always ~ so sharp,clean n bright! Love the looks of this dish. Where I live, pumpkins are harvested in October. Our growing season is short in these mountains and the unusual frosts we've been having are cutting into that time. I think that, this year, I will can extra pumpkin. These photos are inspiring, Maria. I made this the other day and it was a huge success! Boyfriend isn't super keen on pumpkin, but when bribed with goat's cheese he even had seconds! The lentils are fab if you're eating a gluten-free diet!